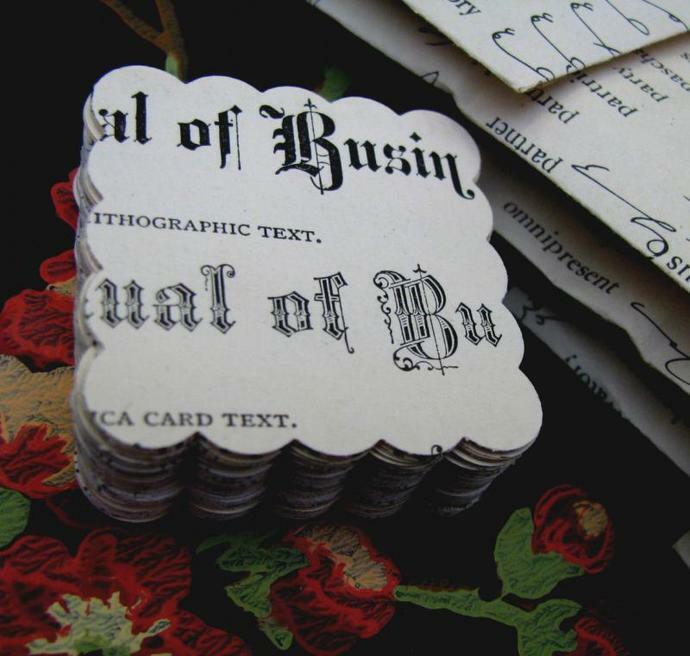 Here is a beautiful pack of -50- 19th century engraved paper punches for you (punched by me!) and presented in a handmade envelope. 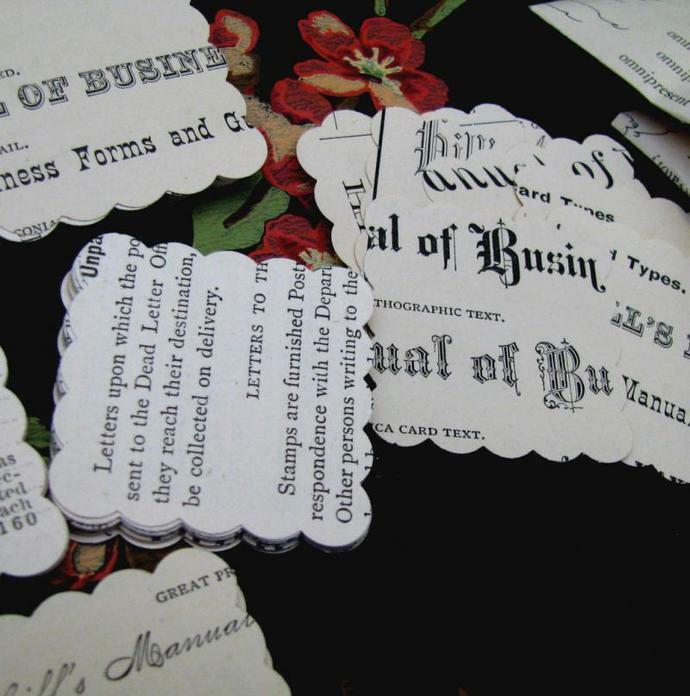 These are perfect for tag and card creations, for all your scrapbooking, collage, and embellishments. 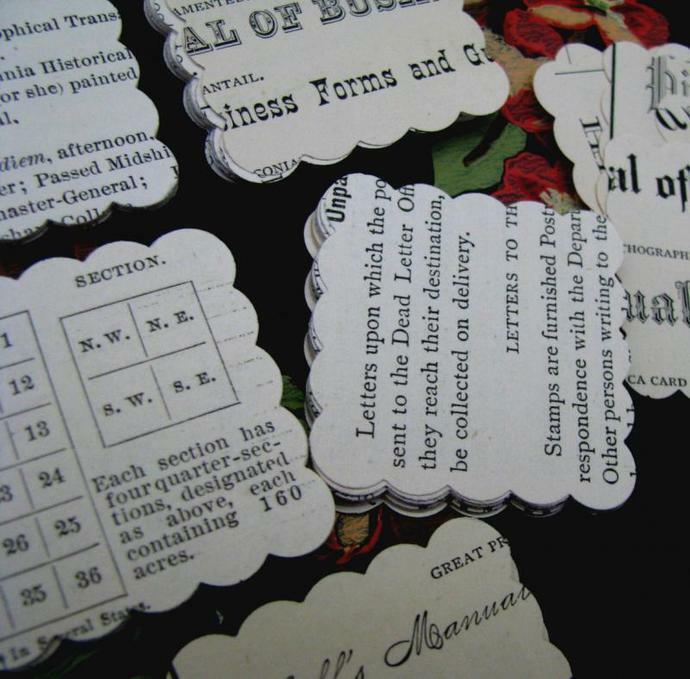 Gleaned from a cover-less 1874 business manual, your 50 punched scalloped squares will measure 1.5" (4 cm) square. The papers are wonderfully heavy and smooth ... and the engraved lettering is exquisite. This book, when new, must have been gorgeous: engraved printing, decorative alphabets ... all combining to create a look of Victorian richness and formality. Evenly and gently tanned, these papers are smooth and clean with deep black engraving on rich cream and sepia toned papers. 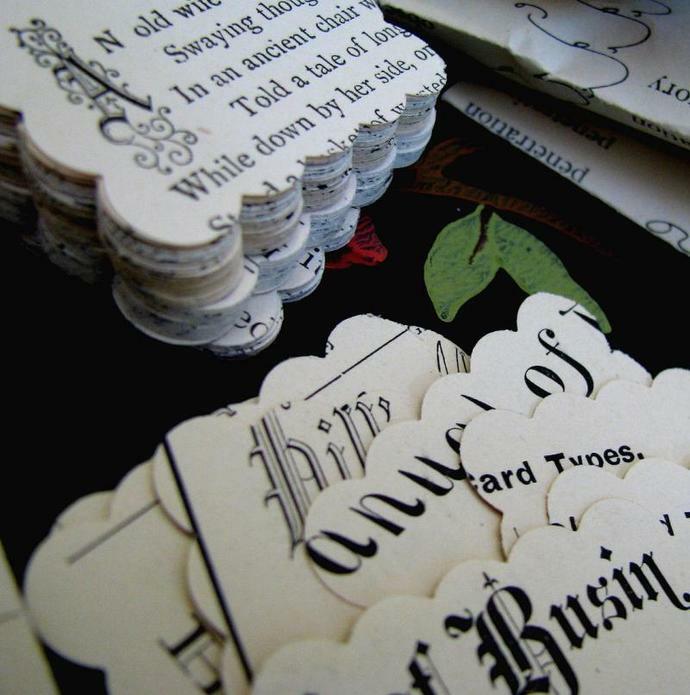 They will add a look of gracious antiquity to your art, scrapbooking, collage. I'll tuck a stack of 50 punches (with some extras!) into a sweet, small (and reusable!) envelope I have created from a 1912 shorthand school text and send this to you flat, protected, and by USPS 1st Class mail. Need more than 50? 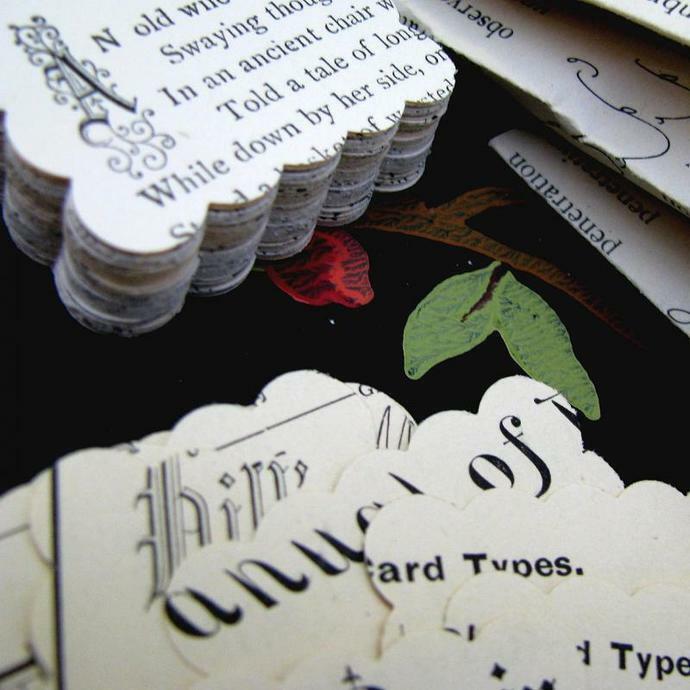 Check the 'Creative Supplies' section to find the same great scalloped punches in larger 100-piece packets.